People walk out of a Lenta supermarket in Moscow, February 3, 2014. 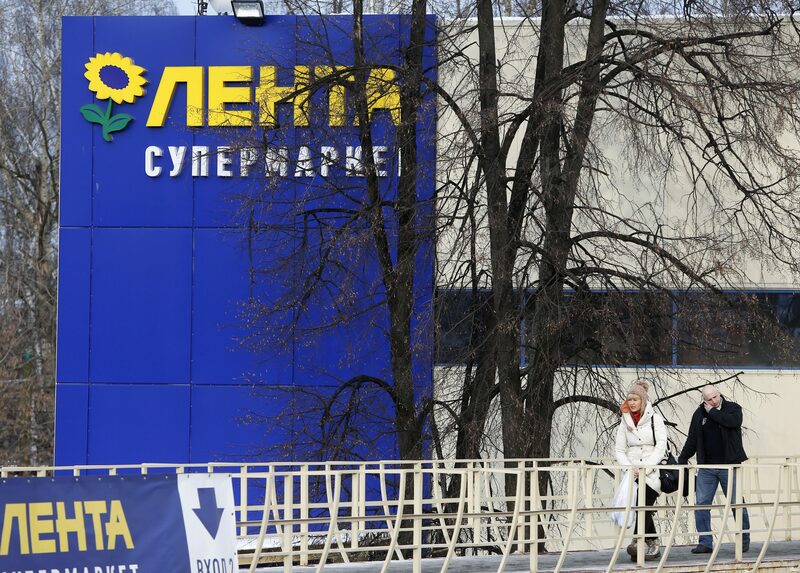 Russian steel magnate Alexey Mordashov is to buy a 41.9 percent stake in Lenta from TPG Group and the European Bank for Reconstruction and Development, the Russian food retailer said late on April 1. The offer prices each share at $18. Mordashov’s Severgroup intends to make a cash offer, as per Russian regulations, to acquire all of Lenta’s shares and global depository receipts, each of which represents 0.2 shares. On April 2, Lenta’s global depository receipts closed up 3.5 percent at $3.50.